Japan’s FREEDOM CubeSat re-entered the atmosphere on February 5, 2017 after only three weeks in orbit, indicating its drag sail was successful in rapidly removing the small satellite from orbit. 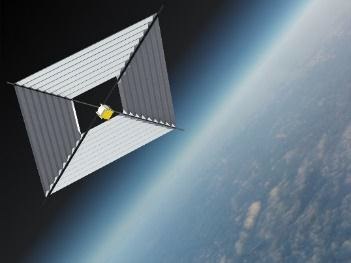 The 1U CubeSat deployed from the Space Station on January 16 and was to deploy a 1 by 1.5-meter drag sail to bring the 1.3-Kilogram satellite to a swift re-entry. Satellite Description: FREEDOM is a 1U CubeSat developed by Nakashimada Engineering Works and Tohoku University to demonstrate a deployable deorbit device for application in future missions for space debris mitigation. The small satellite is comprised of a main structure holding a small bus module facilitating the electrical power system and avionics; and the larger deorbiting device referred to as DOM1500. The DOM1500 device will form a 1 x 1.5-meter drag sail consisting of a thin-film material supported by four diagonal deployable masts that draw the sail out to its fully deployed configuration when deployment is commanded. The flattened booms are coiled up around a central hub and unwound to pull the thin film from its launch compartment. 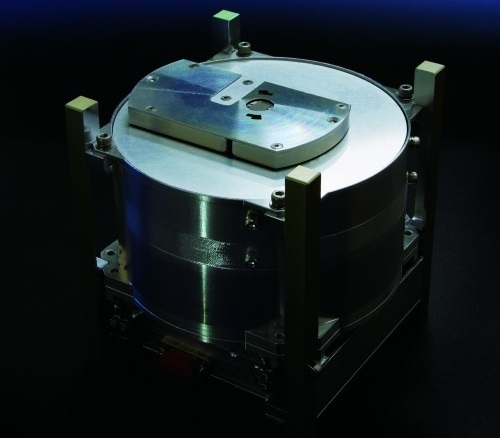 The 1.3-Kilogram satellite also hosts a GPS receiver for orbit determination and to track the speed of orbital decay provided by the drag sail. Communications are accomplished with an Iridium modem.